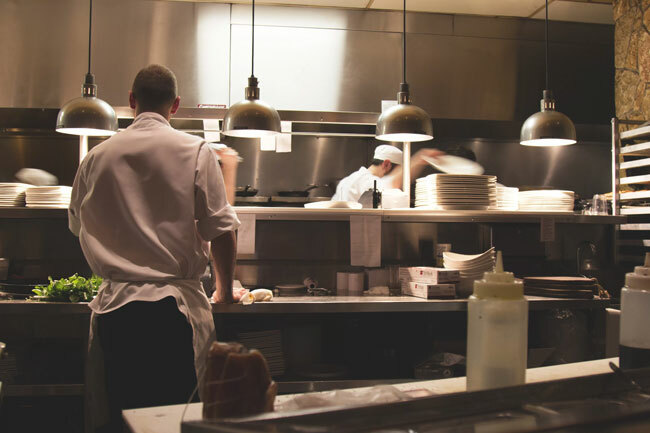 It’s no secret that working in a kitchen is a demanding job, and quite often, it’s the hard times that give birth to some of the most genius pranks. A well executed prank will instantly improve the mood of the team and a perfectly executed prank will continue to be talked about and make people laugh for years. The best pranks involve good planning and there are some very important unwritten rules that, if followed, will result in a prank that gets everyone laughing – even the victim(s). A prank should be harmless and leave no lasting damage (except to someone’s pride). Remember, a prank is just a simulation of a crisis. The last thing you want is to do something that could potentially attract the attention of HR. It’s important to know the person you’re playing a trick on. Playing tricks on people you don’t know is risky business; amongst other things, they could have a heart condition. Pranks should be funny with no lasting consequences. Shaving someone’s hair – not funny. Making someone believe that you’ve shaved a blind spot on their head – hilarious! Although we call them 'pranks', tricks are played on people all over the world. Even small isolated tribes have coming-of-age traditions that aren’t too different to western pranks. The idea is very much the same. Its main focus is to make the victim feel duped in some way and is often used to integrate someone into a group – this is why new starters and apprentices often get pranked. The unique cocktail of anger, self-blame and bitterness forces a state of self-reflection that we almost never get to experience. This forces a check on arrogance and self-awareness. On the other hand, pranks are often just a form of dark humour that lightens the mood and boosts morale. This one works well as a double whammy so it will count as two good pranks or one excellent prank. Filling a chef's toolbox or tool drawer with rubbish is just inconvenient and annoying. But to add to the inconvenience, once they’ve cleaned up the mess and realise that their tools aren’t in there, you can let them know that they’re frozen, suspended in a bucket of ice. This one is easy, quick and fun. Just put a little butter on a door handle and wait for the face of disgust when someone grabs an unsuspecting handful of grease. Most of us have downloaded the app that sounds like an electric razor and pretended to give someone a haircut. This one takes the joke a little further and requires more planning. To pull this one off, you’re going to need to get some hair extensions that are a close in colour and length to your victim's hair, and then when you pretend to give them a trim, you can show them a lock of what looks like their actual hair. It’s not uncommon to be on the receiving end of a prank on your first day in the kitchen - there’s nothing wrong with a little harmless revenge though. This one’s as easy as just putting things back in the wrong place. It may seem small, but when all the speed peelers are missing in the morning, it can cause quite a stir – that’ll teach ‘em for thinking they can get one up on you. Be careful though, this is how prank wars start. Why not sneak a couple of raw eggs in with the boiled ones? These are a handful of our favourite tricks (not) to play in the kitchen. Have we missed any?